Located in the heart of Dallas’ famous Galleria area, Le Méridien Dallas by the Galleria is just steps away from the Galleria Dallas shopping center filled with a variety of shopping, dining and entertainment options. Known for its bustling business district, the Galleria is also home to many recognizable blue chip corporations. Le Méridien is only a short 20 minute ride from Dallas/Ft. Worth Airport. Designed with a chic and creative focus in mind, the Le Méridien guestrooms are spacious and offer a contemporary and sophisticated décor. Accommodations are 100% non-smoking and are equipped with wired and wireless High Speed Internet Access, plush robes, beds with 300-count Frette sheets, 42” HDTV and IPOD Stereos. Room service is available 24 hours a day. 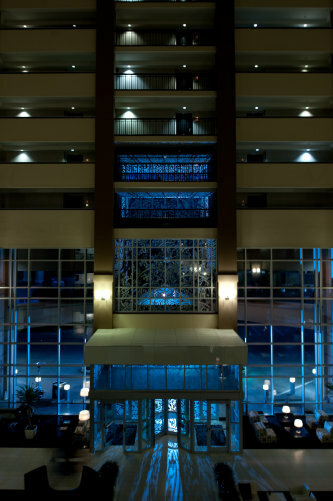 Le Méridien Dallas by the Galleria....a true cultured experience for your next executive conference, meeting, or retreat.